SMA Presents: 15 Minutes of Game "Super House of Dead Ninjas"
In 15 Minutes of Fame, we here at Saturday Morning Arcade try and showcase as much of a game in the 15 minute time limit as possible. Sometimes we succeed, and other times...well, we just go on anyways. 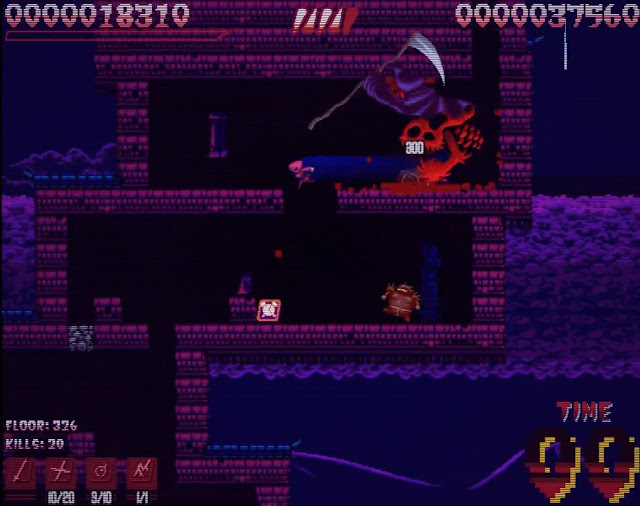 Developed by Megadev Games, Super House of Dead Ninjas stars an unnamed heroine who must make her way down the, "Ziggurat of Infinum," where she will use katanas, nunchakus, rope darts and other weapons to kill multiple enemies. She also has to do all this in a limited amount of time, before the embodiment of death chases you down for the swift kill. Of course, there's more information in our video, so click away and watch it already! Super House of Dead Ninjas was released on Steam, priced at $6.99 USD. A limited version, with only keyboard support can be found online as well.